Live Search is a search bar that you can add to any Stack’s page. It will allow visitors to search through your entire website for specific terms. There is absolutely no setup up required! No PHP support or database needed! No outsourcing the results from Google, just real time information gathered from your website. This live search bar will not even need to reload the page as the results will be displayed in real time. 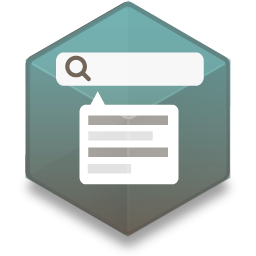 The Live Search RapidWeaver Stack will search the content from all of the pages in your navigation dynamically. You can then optionally add customized styling to the search bar and search results. Although you can simply drag and drop Live Search and it works without any required setup, it doesn’t mean there aren’t plenty of options for customization. See the customization list below and contact us if you have any questions about what the stack can do. Like this Menu? Get it here!